The highly anticipated collaboration between French football club Paris Saint-Germain and Jordan Brand released recently to a tremendously positive response. From soccer jerseys to warm-up pants and an Air Jordan 5, there was truly something for everyone — from die-hard football fans to OG Jordan lovers — in the collection. However, there’s more coming from the two titans of their respective fields: a special pair of Air Jordan 1s is set to drop in November. 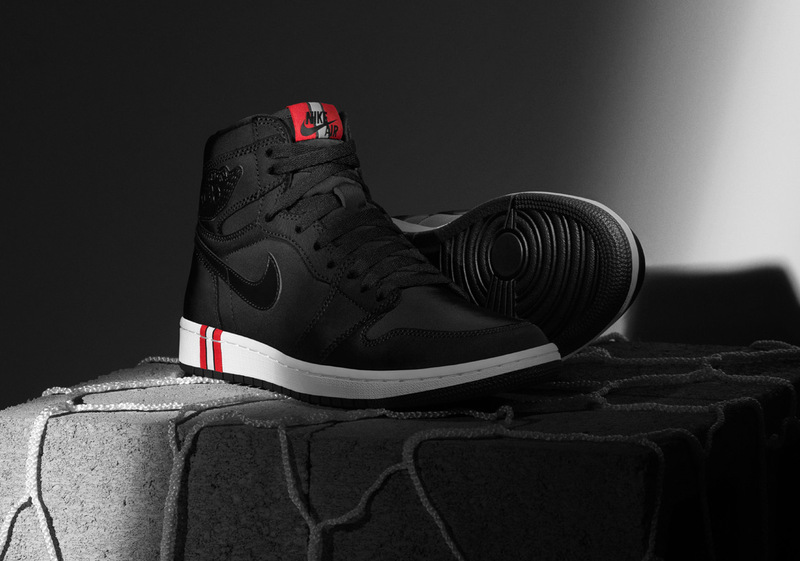 Calling upon the same black/red/white jersey-inspired color scheme as the rest of the collection, the shoes offer a solid black upper with team-style stripes on the tongue/midsole, and a PSG logo hit on the inside of the tongue. These special football-inspired AJ1s are set to drop November 3rd, so prepare yourself for their release and shop the current PSG collection in the meantime with our Where To Buy section.